These stools are a big space saver. they are free standing when folded and stackable. 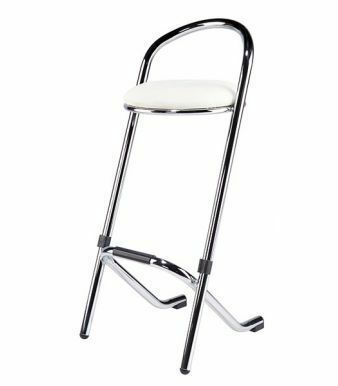 You can purchase the 30 stool trolly for an extra cost. You can choose from White or Black leather for your seat. 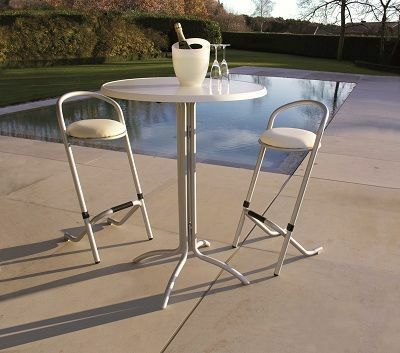 Folding bar stools that can be packed away easily when not required. Available in three frame colours and a beech show wood seat. Alternatively for extra comfort the seat can be upholstered in black or white vinyl. 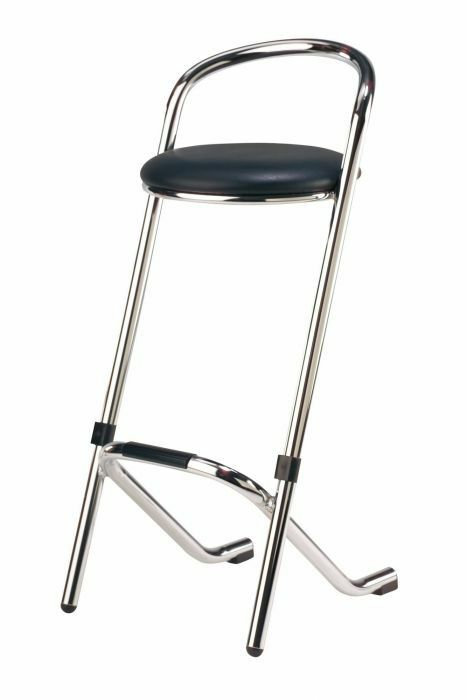 These bar stools also have a transportation trolley as an additional option.